Are you ready to experience the worst flight of your life? Thanks to their latest guerrilla marketing campaign, Virgin America will show it to you! The US airline, which prides itself on being non-traditional, has lived up to its reputation by releasing a six hour promotional video – yes that’s six hours – in a deliberate attempt to bore viewers during domestic flights. Considering that the airline is renowned for its innovative guerrilla marketing campaigns, it may seem ironic that they are promoting their brand with the most boring advertisement in the history of video; but this is the point. The video, entitled ‘have you been flying BLAH airlines?’ traces the real-time events on-board a fictional flight from Newark to San Francisco. It posits that ‘BLAH’ Airlines, (which refers to any airline that isn’t Virgin America), is not worth flying with. The video is a mixture of the tedious reality of the flight, as seen through the eyes of a passenger (stuck in a middle seat, of course), with the metaphor of humans on autopilot, represented by mannequins that are the stars of the video. We eavesdrop on a mundane conversation about a passenger’s love of cheese; experience the frustration of a child incessantly bashing the chair in front; watch a terrible film; fall asleep and get woken up by someone listening to rock music – the list of annoyances is endless. The film is available to watch on Virgin America’s in-flight entertainment system and will appear online as a YouTube pre-roll. Mercifully it is skippable, but here is a link to the full video, if you have six hours to spare. Virgin America bolstered the guerrilla campaign with a fictitious ‘Blah Airlines’ website, which is appropriately non-responsive, mobile unfriendly, difficult to read, grotesquely coloured and full of broken links – check it out at www.blahairlines.com. The Twitter channel is equally as uninspiring, but brilliant. Featuring the strap line “our planes fly around,” the airline steadfastly refuses to respond to social customer queries. The Twitter channel is brilliant, as although the non-personalised responses are a text book example of how not to run a branded Twitter account, you need to know how to run a perfect Twitter account to mock it so effectively. 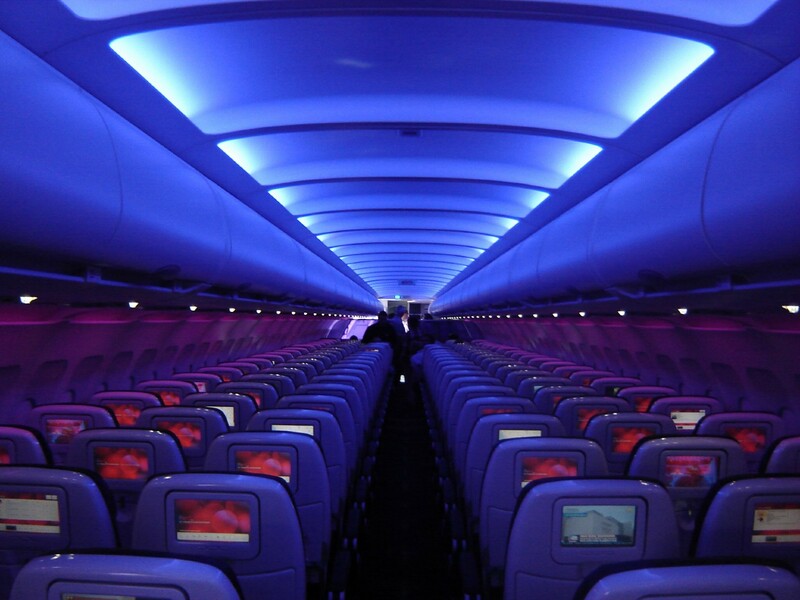 With their guerrilla-inspired campaign, Virgin America deliberately messed with consumers’ marketing expectations whilst entertaining them, resulting in thousands of views on YouTube, extensive press coverage and intense interest from social media followers.